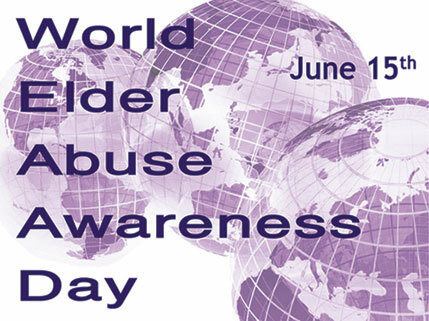 World Elder Abuse Awareness Day started in 2006. This year June 15, 2016 is the 10th anniversary of the holiday. The purpose of WEAAD provides an opportunity for communities around the world to promote a better understanding of abuse and neglect of older individuals. Awareness of cultural, social, economic, and demographic processes affecting elder abuse and neglect. World Elder Abuse Awareness Day supports the United Nations International Plan of Action. They acknowledging the significance of elder abuse as a public health and human rights issue. WEADD serves as a call to action for individuals, organizations, and communities to raise awareness about Elder Abuse, neglect and explotation. caring for an elderly loved one can get over whelming. Offef the resident a break while you visit and care for the loved one. If you ever believe that abuse is on going do not be afraid to contact authorities. If you know of abuse and do nothing you are guilty of abuse as well. My first experience with an accordion was with an elderly neighbor. I looked at it and did not know what to think at first. Then she picked it up and played a song with it. The song was a snappy song that I later learned was a polka. I enjoyed listening to it but as much as I tried could never play like she did. Accordions are a family of box shaped musical instruments of the bellows driven feel reed aerophone type. They are commonly as a squeezebox. The person playing the accordion is an accordionist. The Accordion is played by compressing or expanding the bellows while pressing buttons or keys causing valves, called pallets, to open. 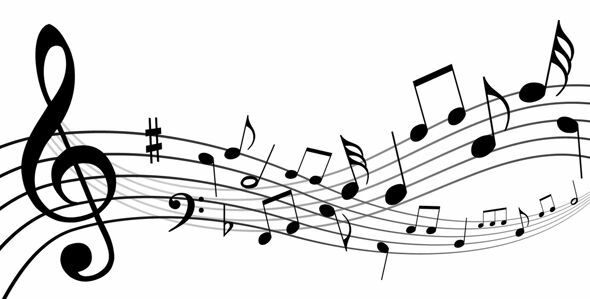 The air flows across strips of brass or steel, called reeds, that vibrate to produce sound inside the body. Brazil, Colombia and Mexico musicians will use the accordion in popular music. Europe, North America, and other South America countries play the accordion with dance pop and folk music. In Cajun, jazz, and folk music the accordion is used in both solo and orchestra. No one quite knows where the first kite comes from. There are many stories of legend involved with the kite. The first known history of a kite was on the South Sea Islands. 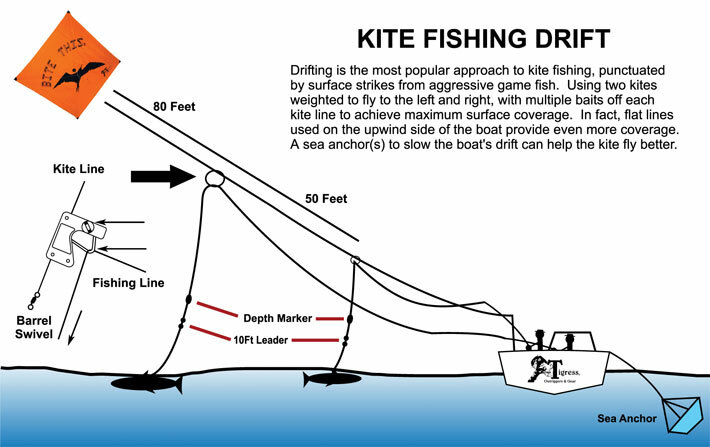 The kite was used to fish, bait was attached to the tail of a kite with a web to catch the fish. Natives of the Solomon Islands continue to use kites to aid in fishing. Kites have been used from fishing tools to worship. The Polynesian Islands represented the god Tane,and Rongo. Both gods were patron saint of the arts, kits and kite flying. Once again the knowledge of the kite spread. My bird bestride the heavens. To the very clouds. Truly so. The Maori also used kites for divination and for funerary purposes. Kites may have came from China. Haun Theng a chinese general in the year 202 BCE created a military strategy watching his hat fly from his head. Placing bamboo that hummed and shrieked in the wind and flying them over the enemies heads. This made the enemies believe that they were plagued by evil spirits out to destroy them and so the army ran away. Chinese and Japanese learned to use kites for raising soldiers into the air as spies of snipers. A famous robber from Japan named Kakinoki Kinsuke was said to have used a person lifting kite to fly to the roof of a castle where statues of dolphins of gold were located. He stole some scales from the dolphins and hid them. The story ends with him never escaping. 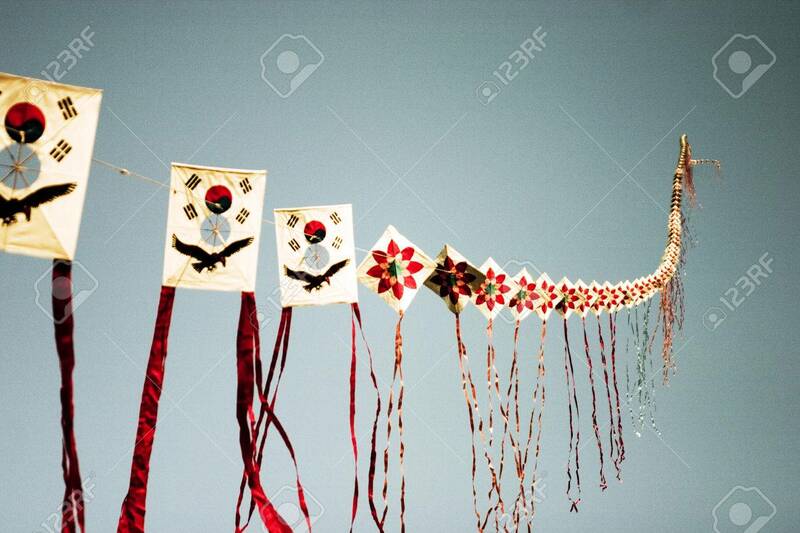 A tradition in Korea is to place names and birth dates of male children on kites and then flown. The line is then cut to ensure a good year by taking away all the bad spirits. Thailand has a tradition where each monarch has their own kite. The kite flies continuously in the winter months by monks and priests. During the monsoon season the kites are flown as well as the people of Thailand send prayers to the gods. There has been many ways of communicating through out the year. Now days we have the cell phone, the telephone and other social sites to communicate. But before these modern technologies there was smoke signals and "hollerin" Hollerin is a lot like yodeling and is thought to have originated among rural folks prior to modern technology. Hollerin continues but now days is done for fun or competing in contest. The folks at Spivey's corner in North Carolina keeps the age old habit of hollerin alive. With contest in June and a few in September. Today , share the power of your smile. It is easy to feel the power. Simply smile at someone and watch them smile back. Today spend time sharing your smile with everyone you see. We never know when our smile just might help someone having a bad day. A smile can add years to your life as you life a happier person. It also can make someone else a happier person. It changes the mood of the on offering the smile as the one that receives. 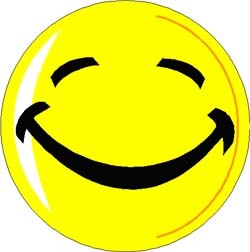 A great smile is perfect for business and helps to improve relationships. It is also easier to smile than frown. In the 1740's electricity mystified individuals. It was used to create magic tricks by creating sparks and shocks. Scientist would conduct experiments with electricity but electricity was not thought of as useful. It would take Benjamin Franklin and a thunderstorm to change that fact. Franklin always curious and inventive thinker wanted to find out more about electricity. He had notices similarities between lightning and electric sparks. They both created light, made loud crashes when exploded, attracted to metal, to name just a few. Franklin used a kite to get close enough to the clouds. Since Philadelphia had no hills or tall buildings he used a silk handkerchief, a couple of sticks and string. During a thunderstom in Philadelphia, Pennsylvania Benjamin Franklin set out to prove lightnng is electricity. His tools being used was a kite with an iron key suspended from the kite. 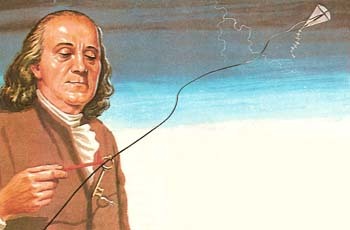 Franklin used this knowledge to create a lightning rod. The lightning rod was made of metal and attached to the highest point on a house. When the lightning hits the rod instead of the house the lightning current goes into the ground and leaves the house undamaged. Written by a socialist minister Francis Bellamy in August of 1892. 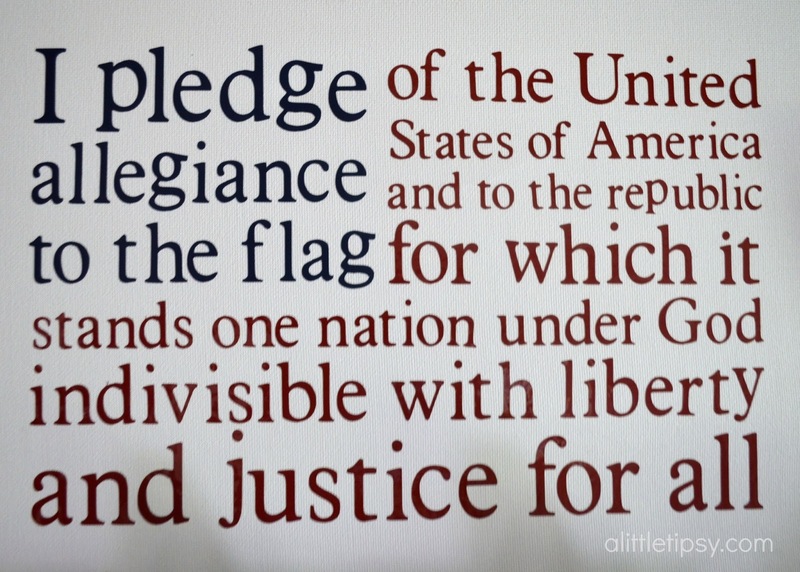 In 1923 the words "the Flag of the United States of America" were added. In 1954 as the Communist threat was rather real President Eisenhower asked Congress to add the words "Under God"
Before World War II the flag was given a military flag but many believed it looked to much like the Nazi salute and the pledge was said with right hand over the heart. The first Flag day was proclaimed by President Woodrow Wilson in 1916. Congress established National Flag Day in August 1949 but it is not an official federal holiday. Pennsylvania did celebrate flag day as a state holiday in 1937. Fairfield Washington, Appleton Wisconsin and Quincy Massachusetts as well as other places hold parades yearly in honor of flag day. 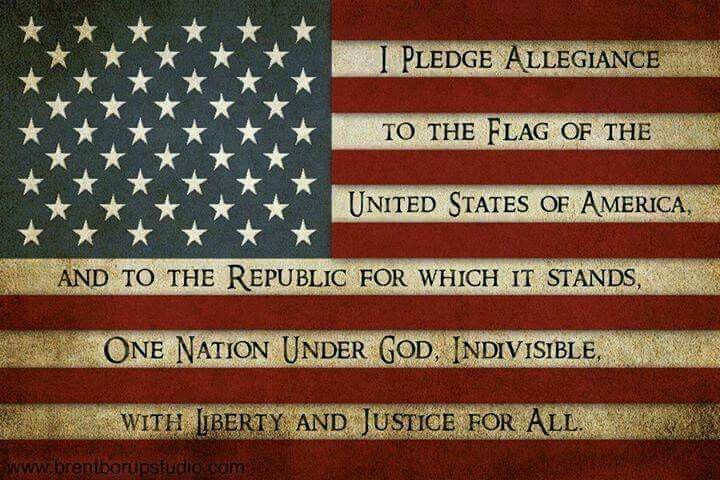 Celebrate Flag Day this year by putting out your flag. Honor our country and our flag. Strokes are the number 5 causes of death in the U.S. It is the leading cause of disability in the U.S.A. Strokes can leave many affects including communication effect such as aphasia. In fact the common cause of aphasia is stroke. 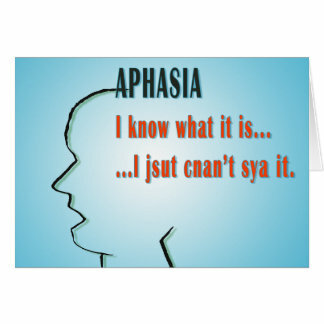 Aphasia is a language disorder that affects the ability to communicate. National Aphasia Awareness Month occurs in June. The goal is to increase public education on the language disorder and to recognize the numerous people what ar eliving with or caring for those with aphasia. The American Heart Association is helping those with Aphasia by increasing awareness by sharing communication tips, allowing others to understand the effects of aphasia, offering assistave devices for those with aphasia. Aphasia does not affect intelligence. Stroke survivors are mentally alert with their speech jumbled. They of ten get frustrated from the fragmented language that is often impossible to understand. Getting the words out may be the problem or finding the right words makes Aphasia hard to live with. Individuals may also have trouble understanding speech, reading, writing or math. There are things you can do to help. The support of doctors counselors and speech pathologist are needed by the stroke patient. Family and friends are also a valuable resource. Never speak about the stroke victim around them even if you think they can not hear. More than likely then can and understand as well they may just not be able to let you know. A daily routine for the aphasia affected individual is very important. Include time for rest and practic skills in their schedule. When you speak keep your sentences to the point and short. Stand in eye view of the patient and try not to talk real loud. The person with the disease should be included in decision making and any on going conversation. Offer respect and dignity offering time for the aphasia affected individual to get point across. You should find out if you are at high risk for eye diseases. Family history of diabetes or high blood pressure increase your risk at losing sight. If you are age 65 or an African American over age of 40 will increase risk as well. Regular eye exams are important to limit vision loss and help preserve eye sight. Regular physical exams to check diabetes and high blood pressure is important as well. Leaving disease untreated can cause eye problems. Vision loss from diabetes can lead to retinopathy, macular degeneration and eye strokes. There are warning signs that your vision is changing. Start paying attention and taking note of these changes. Double vision, hazy vision and difficulty seeing are all signs and a dr. appointment should be made. Red eyes, flashes of light, floaters, and eye pain and swelling require immediate attention. Have an eye exam at least every 2 years. 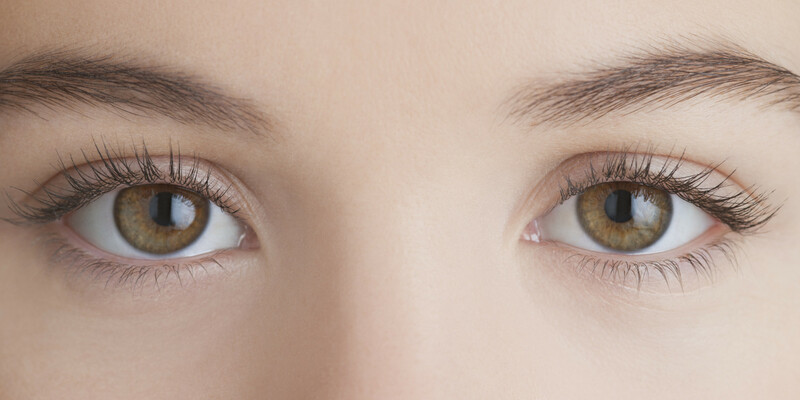 Dilating pupils can determine risk for major eye diseases. June 12, 2016 tragic struck in the fun capital of Orlando. What used to be the unthinkable has all too often becoming the possible. When the news of the shooting in Orlando was heard the American Red Cross took action providing comfort and support. Providing blood is something that is done by the Red Cross and this is what they did. Providing 30 units of type ) negative blood to support Florida hospitals. The American Red Cross is standing ready to provide more if needed. Mental health volunteers have been provided by the Red Cross as well. Answeringphone call and providing information for needs is currently being part of the service of the American Red Cross as well. You can help as well. Donating blood is one of the top current needs. It was the fact that the Red Cross was prepared with blood on hand that helped save lives. You can help keep blood on the shelves by donating blood. Schedule an appointment to give blood in the coming weeks and months ahead It takes donors around the country to keep the supply up. Emergencies can and do happen any where. If you can not donate blood for some reason consider donating money to help the Red Cross care for the thousands of tragedies a year. What you can do. The events in Orlando also emphasize the importance of knowing what to do when an emergency occurs. The bystanders provided care as there was so many victims. So knowing what to do in an emergency is important. Events like this cause feelings of anxiety because noone knows what to do. Stay informed but limit media exposure of the events. Children are especially vulnerable to stress and media. Allow children to share their thoughts and reassure them that they are ok.
1. Preheat the oven to 350˚F and lightly spray a 10 x 13 inch baking sheet with cooking oil. Place a large enough piece of parchment paper over the sheet that a little bit of it is hanging over the edges of the pan. 2. Place the butter, spices, salt, baking powder and baking soda in the bowl of stand mixer fitted with a paddle attachment. Beat the butter until it is smooth, all the dry ingredients are incorporated and the color is a uniform brown. Add the vanilla and dark brown sugar and beat to incorporate. Add the egg and egg yolk and beat to incorporate. Add the molasses and beat to incorporate. 3. Add both flours and beat to incorporate. Add 1/2 cup of crystallized ginger, 1/2 cup of dried tart cherries and the golden raisins to the cookie dough. Mix to incorporate. Scrape the dough into the baking sheet and spread the dough all the way to the edges. It will be sticky and the dough will seem thin once you’ve evenly spread it out. Bake in the oven for 18-20 minutes or until the edges of the cookie look darker brown and the center looks dry and baked. Let cool in the pan, preferably overnight but until completely cool before icing. 4. To make the icing, place the sugar, milk, butter and vanilla in a small pan and cook until the sugar dissolves and the butter melts. Sift the confectioners’ (powdered) sugar into the pan and whisk to dissolve. If the icing seems to thin, add extra confectioners’ sugar (a tablespoon at a time) until thick enough to hold it’s shape when drizzled on some paper. If it seems too thick, thin with a teaspoon of milk at a time. Drizzle half the icing on the cooled cookie (I poured the icing into a squeeze bottle and used that for more precision but you can free form it with a spoon or a plastic ziplock bag with the corner snipped off). 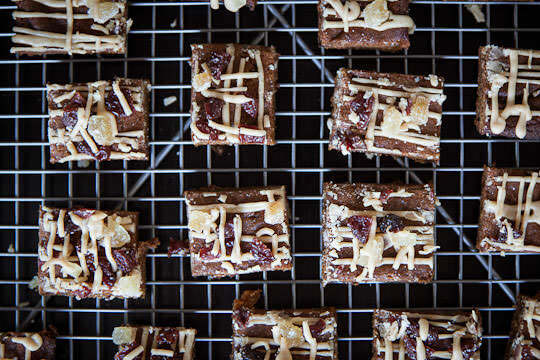 Sprinkle the remaining crystallized ginger and dried tart cherries over the top of the hermits, pressing into the icing to attach them. Then drizzle the remaining icing over the ginger and dried tart cherries. Let icing dry for 15 minutes or longer before cutting and serving. Pare the peaches (not necessary with nectarines). Poke a whole clove into each peach; use two cloves per peach if they're big'uns. Combine sugar, vinegar, and cinnamon in a large pot and bring to boil, covered, over high heat. Boil 5 minutes. Add fruit and cover. Set timer for 10 minutes. The pot should be boiling again after 5 minutes. Allow fruit to boil another 5 minutes. 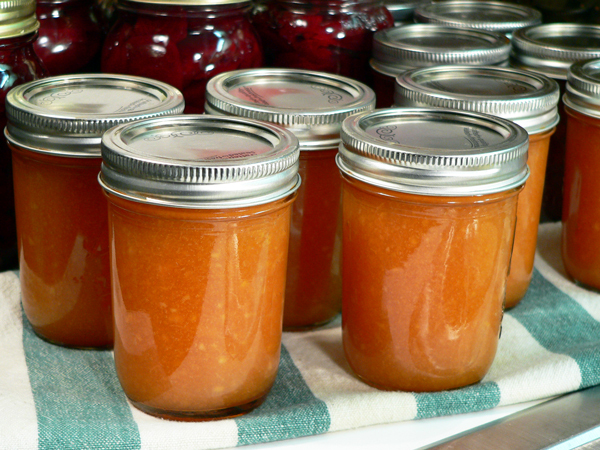 Scoop fruit out and into wide-mouth jars. 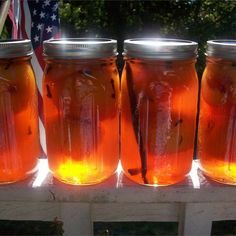 Boil syrup another 5 minutes, then pour over fruit. Using mulch can help block the weeds. Mulch is a covering that blocks daylight and thus stops weeds from growing. Mulch should be used to cover soil between your plants and along rows. Ensure that the mulch is kept a few inches from the base of your plant to make sure that the plant can still grow. The mulch will also help discourage insect invasions. Mulch can be anything from wheat straw, shredded leaves or other material that is organic. It should be layered on the ground where you desire it to be about 2 inches thick. Another idea is to cover the area with damp newspaper first (black ink only) and then cover with mulch like above. Use landscape fabric around base of trees and shrubs and then cover the fabric with mulch. Summer may not officially be here for a few more days but I would say that heat of Summer has arrived. Is it hot where you are?? While we are not at triple digits there is at least one day this week where we will come mighty close. I did see a slight cool down (only a few temps but it will help) in our future. So far we have been staying cool with fans only. I wonder how long this will last before we turn on the A/C. Attitudes sure are a bit difference in the heat that is for sure. The clothesline and the grill are being kept busy as it is too hot for laundry or cooking inside. The ingredients involved are simple. You may have them all on hand. The recipe calls for soy sauce, 1 can of lemon lime soda, olive oil, 2 minced garlic cloves and dijon mustard. Place chicken in a Ziploc bag and add soy sauce, soda, garlic, mustard, and olive oil. 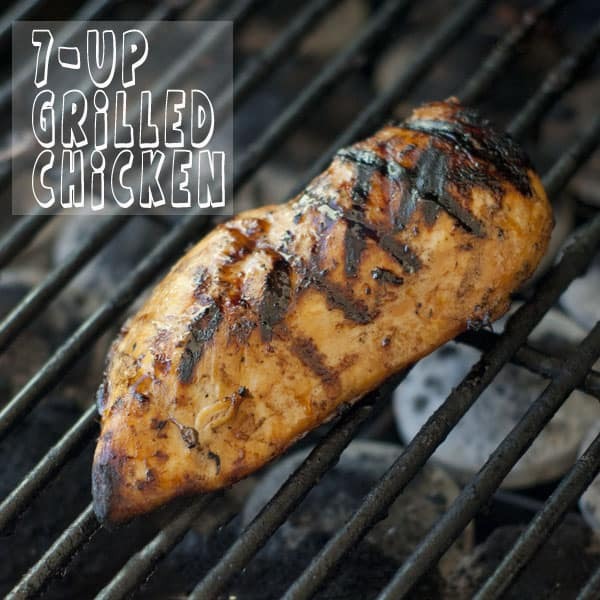 Remove chicken from marinade, season with salt and pepper and grill over medium-high heat for 15-20 minutes or until cooked through. Combine all ingredients, heat until butter melts. 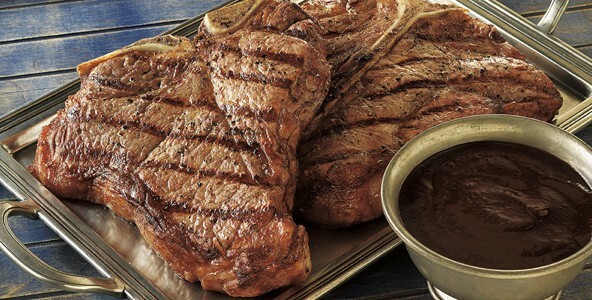 Broiler juices may be added. Perennial Plant is a plant that lives for more than 2 years. An annual flower only lives for one season or year and the biennials live for two years. Perennials are not related to trees or shrubs all those these also normally live for many years. Small flowering perennials that grow and bloom over the spring and summer often die back every autumn and winter then return are known as heraceous perennials. Tomato vines live many years in their tropical habitat but are annuals in this area because of the temperature does not allow them to survive winter. Evergreen perennials retain a mantle of leaves through the year. The local climate may dictate whether plants are treated as shrubs or perennials. In warm region they may retain their shrub name but in colder weather they may be cut to the ground due to winter frost. 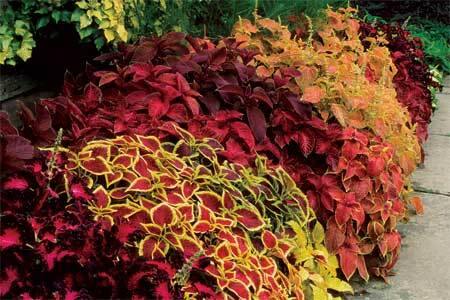 IF you are looking for plants to place in your garden that do not require planting each year take a look at perennials.